George Richmond (1809-1896), Portrait painter and draughtsman; son of Thomas Richmond. Sitter in 14 portraits, Artist associated with 325 portraits. George Richmond (1809-1896), Portrait painter and draughtsman; son of Thomas Richmond. Artist associated with 325 portraits, Sitter in 14 portraits. 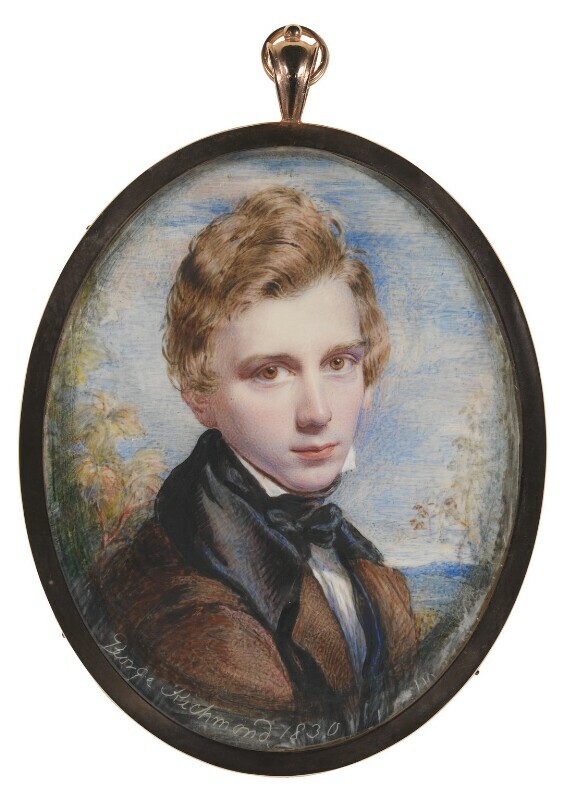 Richmond probably made this self-portrait for his wife to celebrate their marriage in 1831.Throughout this time Richmond practised as a miniaturist and this work dates to the end of his 'Ancients' period in 1830. After his marriage, Richmond became a successful society portrait painter.